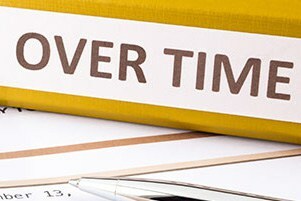 Is your employer denying you overtime pay? Do you work more than 40 hours a week only to look at your check confused and upset? Goldberg Weisman Cairo wage theft and violation attorneys are currently representing Illinois workers who are not receiving every penny that they have worked for and that they deserve. If your employer is not paying you overtime pay at the rate of one and half times your hourly wage, talk to our experienced Illinois overtime lawyers. Our firm knows exactly how to deal with defiant employers who take advantage of the workers who help their companies succeed. For decades, we have used the law to protect the vulnerable, and our results speak for themselves. We will conduct an extensive review of your entire employment record and determine the best way to get you your overtime pay, in addition to any penalties that may apply. Comp time or compensatory time is a process that allows employees to exchange their overtime hours for vacation time or paid time off, in place of getting overtime pay. In Illinois, compensatory time is not legal in the private sector. If an employer offers you comp time instead of paying you overtime rates, the employer may be violating labor laws. Compensatory time or paid time off is permitted in the non-profit sector. In organizations with a 501(c)(3) exemption from the IRS, an employee may legally accept comp time in lieu of overtime pay. Do not be afraid to ask an attorney how you can get the money you deserve. Illinois and federal law both require employers to pay any and all hours worked above 40 hours in a single week at the rate of time and a half. Employees cannot be required to work more than 40 hours in a single week without additional compensation. Still, many employers will attempt to avoid paying overtime by only compensating overtime hours if more than 80 hours were worked in a two-week-period. For example, an employee who works 60 hours one week and 20 hours the next week is entitled to 20 hours of overtime pay from week one, even though the total hours worked in the two-week period does not exceed 80 hours. The overtime pay in Illinois is broad and can apply to employees who are paid both on an hourly basis and even some who are paid on salary. To determine whether you qualify for overtime pay and if your employer has been compensating you properly talk to an experienced attorney. Employers can require employees to work overtime, but there are some restrictions. The One Day Rest In Seven Act (ODRISA) is an Illinois law that protects the rights of employees to get rest during the week. Under ODRISA provisions, every employee is required to have at least 24 hours of rest in every calendar week. The calendar begins at 12:01 a.m. on Sunday morning and ends at midnight on the following Saturday. There is one exemption to the 24 hours rest law. In cases where all of the workers are volunteers, they may willingly work more than seven days without receiving a day of rest. However, paid workers may not work seven days in a row without receiving at least 24 hours of rest. Under both Illinois overtime laws and federal overtime laws, workers who spend 80 percent of their time or more in white collar jobs are exempt from overtime pay. Millions of working Americans are not getting paid. Its called wage theft and numerous studies continue to highlight the growing problem across the nation. The epidemic is not only illegal, it is causing workers to lose billions of dollars each year. When employers who are required to pay overtime fail to pay, employees may be able to recover an overtime premium for all of the overtime hours that they have worked. Our overtime pay and wage theft lawyers know precisely how to use the state and federal wage and labor laws to get you the back pay you deserve. We are here to enforce your labor rights. Each year, hundreds of millions of dollars are recovered on behalf of employees. These employees receive their overtime pay and minimum wages back pay as a result of filing a Fair Labor Standards Act violation lawsuit or claim with various labor departments and law firms. According to the Economic Policy Institute, in 2012, the above-mentioned institutions and groups successfully recovered more than $2 billion that was stolen by employers. Our firm will work hard to ensure that next year, you belong to the group of employees who recovered their wages by filing a wage theft lawsuit.